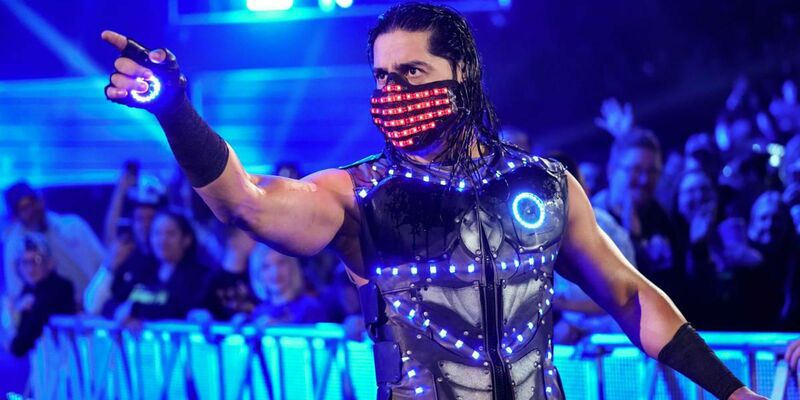 Fast-rising WWE star Mustafa Ali is reportedly injured, and unable to compete in the main event of Sunday’s Elimination Chamber pay-per-view. Ali made his WWE debut as a participant in the Cruiserweight Classic tournament, which was held in the summer of 2016 on the WWE Network. Ali was signed as a full-time member of WWE’s cruiserweight roster by December, becoming a regular fixture on the weekly 205 Live streaming show. A natural fan-favorite, Ali was quickly dubbed “the heart of 205 Live” by the announce team. 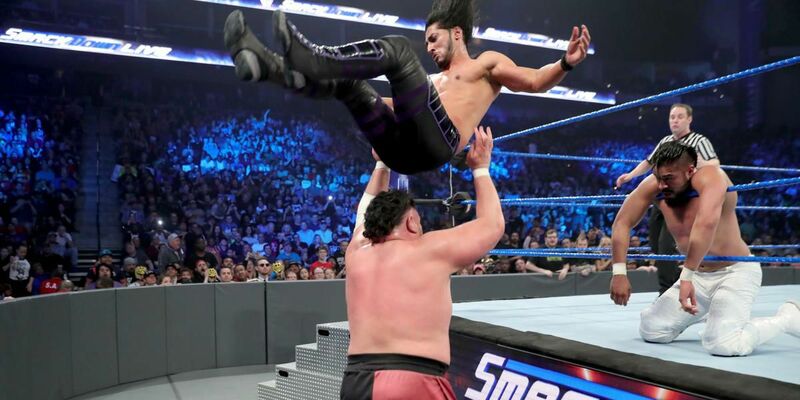 Despite being one of the most popular competitors on 205 Live, Ali never managed to capture the WWE cruiserweight championship, despite repeated shots at the prize. Just when it seemed like Ali might be running out of options within WWE, the company surprised fans by suddenly moving Ali to the main roster in late 2018. On the December 11 edition of SmackDown, Ali confronted WWE world champion Daniel Bryan, and would go on to face him in the main event of that episode. Ali lost, but looked great hanging with WWE’s best, and has remained in the top tier of SmackDown’s title picture since. At the Royal Rumble pay-per-view, Ali put in a great showing, lasting 30 minutes and tossing both Shinsuke Nakamura and Samoa Joe. Ali was finally poised to get his first real shot at the WWE championship this Sunday during the Elimination Chamber pay-per-view, as one of the participants in the titular main event match. Unfortunately, Fightful now reports that Ali is injured, and WWE won’t allow him to compete on Sunday. Notably, WWE has yet to confirm or deny this claim. Assuming that this report is accurate, Ali’s removal from the main event of Elimination Chamber will leave an open spot in the titular WWE championship match, and it’s unclear who’ll end up filling it. The five remaining competitors currently set for the Elimination Chamber match are WWE champion Daniel Bryan, Randy Orton, Samoa Joe, AJ Styles, and Jeff Hardy. Two men not currently booked on the card that could fairly easily slot in for Ali are Rey Mysterio and Andrade “Cien” Almas, who’ve spent the last month or so feuding. Of course, that leaves one of them as the odd man out of the mix. A less likely possibility is a returning Kevin Owens, who appeared briefly on tonight’s Raw to let fans know he’d be back in the ring in about a month. While that’s obviously a lot further away than this weekend, Owens’ announcement could very well be a smokescreen designed to surprise fans when he shows up to take Ali’s spot within the Elimination Chamber. WWE could also try to call in a favor and insert someone completely unexpected in the match, such as John Cena or Kurt Angle. For now, all fans can do is wait and see.